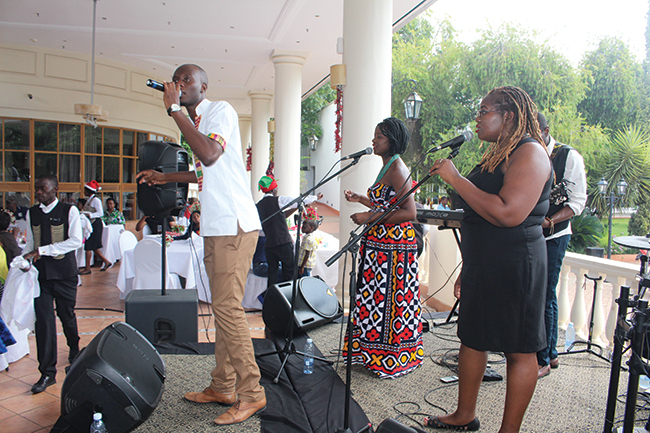 THE Hotel Inter-Continental in Lusaka on Christmas Day returned to something familiar, a brunch in the Savannah Restaurant where gospel musician Pompi provided the entertainment. This was a packed cosmopolitan audience which warmed up to Pompiâ€™s African hip-hop/urban music. As usual, Pompi was being backed by Flow1ne (Abi Mali and Seya Fundafunda). Perhaps, a little more information about Flow1ne, who describe themselves as artistic, creative, beautiful, witty, and charming. Having been respectively singing from a young age, way before they met at church in 2012, they have been a consistent feature at Pompiâ€™s show. They were actually the backup singers for Pompi when he performed at Big Brother Africa in 2013, and since then, they have been featuring at his shows. This was the first event at which Abi and Seya shared the stage in the backing vocalist capacity for Pompi, and thereafter sang with him for two years. They both featured individually on Pompiâ€™s last album Broken English, and from then on, Flow1ne was born. For the duo, Flow1ne (Flow One) is about showing the outflow of whatâ€™s inside Abi and Seya, and that is to show Jesus to the world through their lives and music and to heal the broken both in the church and outside its walls. That is why like Pompi, they are comfortable performing before any audience such as the one for Big Brother Africa â€“ The Chase. So, even at the K450-brunch at InterContinental, they were very much at home. Well, and the audience liked them. When Pompi had a taken a short break, and Flow1ne filled up for him, there were some wanting autographs from him. This was an easy-going show at which Pompi played songs from his two albums, Mizu and Broken English. But if that was an easy-going affair, last nightâ€™s New Yearâ€™s Eve show must have been a real party. After all, the expected performer was none-other-than the bouncy Mampi. 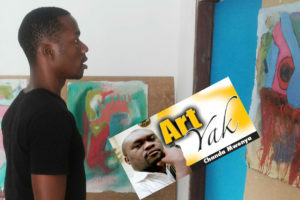 Next year, the InterContinental is set to host more musical shows in the Makumbi Restaurant, which was popular in the past as it played host to the likes of Jane Osborne and Maureen Lilanda.